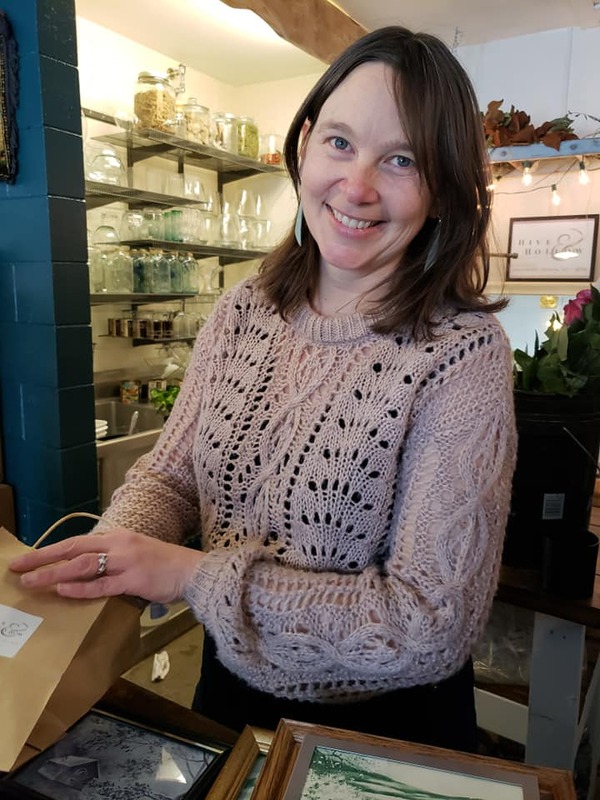 Established in 2018, but grown out of 25 years of floral experience, Hive & Hollow is a little flower and gift shop in Menomonie, Wisconsin, focused on community and doing things sustainably. We offer locally grown flowers, plants, local art, oddities and curiosities. We are a full service florist and we do weddings, funerals, and daily deliveries, we just do it a little bit differently, because we want to do it in a way that is ethical and sustainable, not only for our little community, but for the planet. Sarah, the owner, draws from her considerable experience in flowers and design. She began working in flowers in 1995, at Crocus Hill Flower Market in St. Paul. She worked as a landscaper on the East coast and then opened Sassafras Floral & Garden Design, a wedding and event design floral studio in Minneapolis. Sarah and her family moved to Menomonie in 2012, to a wooded plot of land on the Red Cedar River. The family grows and forages many of the materials you’ll find in a Hive & Hollow arrangement.